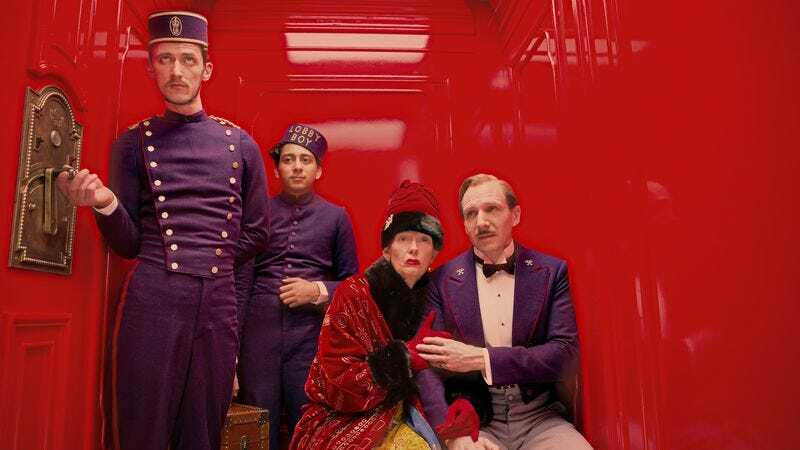 Variety reports that The Grand Budapest Hotel has racked up a tremendous box-office take of $103.8 million worldwide, making it the highest-grossing film ever made by Hollywood power director Wes Anderson. (The Royal Tenenbaums is second with $71 million worldwide.) Audiences flocked to the action-packed war movie, which tells the dark, gritty story of a virile art thief who’s on the run from a psychopath amid the ominous rise of the Third Reich. Budapest was filled with the familiar calling cards of the Anderson juggernaut, with countless explosions (of whimsy) and copious use of special effects: The climactic ski-slope chase scene alone is said to have required more than 1,000 man-hours of stop-motion animation and two entire bags of cotton wool for the snow. The record-destroying ticket sales also likely benefited from Budapest’s high-wattage star power, as the cast includes such boldface names as Jason Schwartzman again, Owen Wilson again, and F. Murray Abraham, who is the thespian equivalent of heroin for the moviegoing public. Still, some industry naysayers have knocked Budapest for its focus on lowbrow crowd-pleasers, like its detailed Depression-era immigration documents and idiosyncratic aspect ratios. While those criticisms have some merit—Anderson’s shameless product placement for the Futura typeface continues to tarnish his work—the numbers prove that the director’s craven formula gets results on the balance sheet.